Searching for your first cloud computing project? Chances are you’re considering a very small, very low-risk application to create on a cloud computing provider. Linthicum is insistent, however, that you need to bite that bullet now, update that résumé (in case your superiors don’t agree), and push your strategic corporate data to the public cloud. Using cloud computing optimally allows you to leverage your data in new ways, increasingly thanks to new and emerging tools — without having to pay gazillions of dollars for new infrastructure to support the higher-based processing. When you have such low-cost capacity, you’ll find new ways to analyze your business using this data, and that will lead to improved decisions and improved business. But, the reverse side is that your data could be carted off by the feds in a data center raid or hacked through an opening your cloud provider forgot to close. Right? Wrong. If you are only “playing” with cloud computing just to say that your company is in, while at the same time avoiding any potential downside, you’re actually doing more harm than good. Cloud technology has evolved in the last five years, so put aside those old prejudices and assumptions. Now is the time to take calculated risks and get some of your data assets out on the cloud. 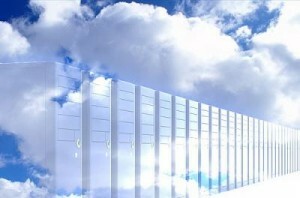 Are you wondering what cloud computing can do for YOUR business or professional practice? Remember us: Cloud9 Real Time is the #1 cloud for accountants, law firms, and their clients. Take a test drive and see for yourself what all the hubbub is about.